Winter seems to come quickly up here in the Colorado Rocky Mountains. But we are used to it! Some of us living in the Vail Valley begrudgingly try to ward it off, but most of us eagerly anticipate the snowfall so we can hit the slopes as often as possible. 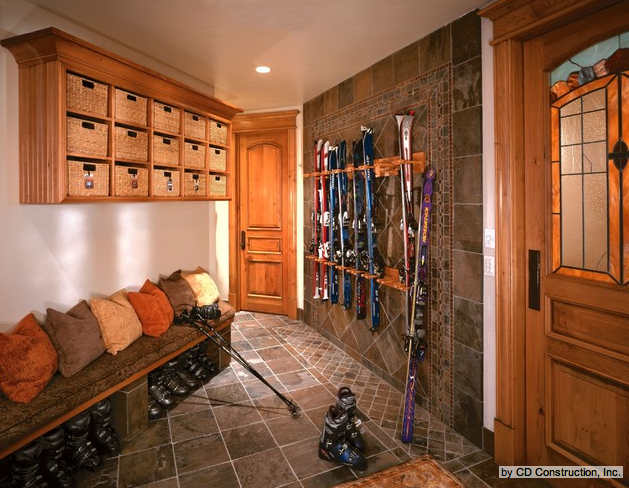 We still have a good month before the skiing begins so make the most out of fall and get your home ready with this checklist for mountain homes. Then sit back, relax and warm your hands around a mug of hot apple cider. Fall is here and winter is not far behind! Clean gutters and downspouts: Wait until most of the leaves have fallen to schedule a rain gutter cleaning. Inspect gutters and downspouts for cracks and loose parts, and make repairs as needed. Repair roof and siding: It is crucial to address any areas that may need maintenance before ice damns can make worse. Install storm windows and doors: These can help conserve energy and protect from cold, wintery drafts. Shut off outdoor faucets, roll and store garden hoses, blow out sprinkler systems: Avoid damages to pipes and hoses by freezing temperatures. Clean and store outdoor furniture and tools: Don’t leave your outdoor furniture to be damaged by fall weather. Storing it will extend the beauty and life of your outdoor seating. Store your gardening tools and get out your snow removal tools. Organize your mud room: Put away summer and fall equipment and get out your winter toys. It’s time to make sure you have all the gear you need for a fun-filled winter in the mountains. Maintain your wood stove or fireplace: If you have a fireplace or wood stove, it’s essential for safety that you have it serviced before lighting the first fire of the season. If you haven’t done so already, schedule an appointment to have your chimney inspected and, if necessary, cleaned. Check safety devices: Carbon monoxide and smoke detectors are crucial in the mountains. Make sure yours are functioning with brand new batteries. Sort and store clothing: It’s time for swimsuits and shorts to take a backseat to your winter attire. Store clean summer clothing in out-of-the-way bins so you are ready for that first snowfall of the season. Keep seasonal decorating low-key with natural finds: Pumpkins, gourds, fresh heirloom apples, quinces, pomegranates, figs and fall foliage make wonderfully simple decor. Bring in cut branches from your yard, stop by a pick-your-own farm, or scoop up fall’s bounty at a farm stand.